Chic Is In The Bag! 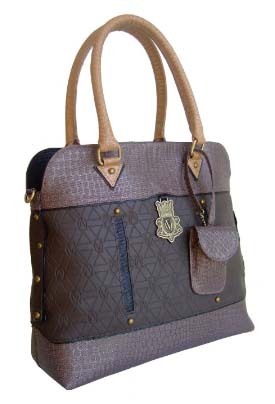 The Vegan Queen Collection is the upscale handbag line created by Princess and former fashion model Evelina Kulikovsky. Princess of Romanov and descendant of musical and artistic excellence, Evelina is an accomplished classical pianist and opera singer as well as a Nobel Peace Prize nominee. Disappointed with the lack of an availability of handbags that would compliment her compassionate vegan lifestyle, Evelina drew upon the skill set she acquired at the New York Fashion Institute of Technology and used her keen artistic eye and innate fashion sense to launch the Vegan Queen line of handbags and accessories.